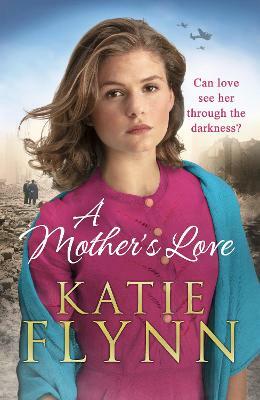 ***ORDER NOW*** THE BRAND NEW NOVEL FROM BESTSELLING AUTHOR KATIE FLYNN. The perfect gift for Mother's Day. She has lost her mother but she will find hope... Liverpool, 1940: there comes a moment in every child's life when they must learn to stand on their own two feet. For fifteen-year-old Ellie Lancton, that time has come all too soon. The death of her mother and the increase in air raids leaves Ellie alone and in grave danger. It's not long before she is forced to leave her beloved Liverpool behind and cross the Mersey to seek refuge in the countryside. But as the war takes comforts away, so too does it bring new opportunities; for work, new friendships, and perhaps a little love... It will take all of Ellie's courage to find her way without her mother's guidance. But if Ellie can soldier on with grace and dignity, there might just be light at the end of the tunnel. Katie Flynn is the pen name of the much-loved writer, Judy Turner, who published over ninety novels in her lifetime. Judy's unique stories were inspired by hearing family recollections of life in Liverpool during the early twentieth century, and her books went on to sell more than eight million copies. Judy passed away in January 2019, aged 82. The legacy of Katie Flynn lives on through her daughter, Holly Flynn, who continues to write under the Katie Flynn name. Holly worked as an assistant to her mother for many years and together they co-authored a number of Katie Flynn novels, including Christmas at Tuppenny Corner. Holly lives in the north east of Wales with her husband Simon and their two children. When she's not writing she enjoys walking her two lurchers, Sparky and Snoopy, in the surrounding countryside, and cooking forbidden foods such as pies, cakes and puddings! She looks forward to sharing many more Katie Flynn stories, which she and her mother devised together, with readers in the years to come.